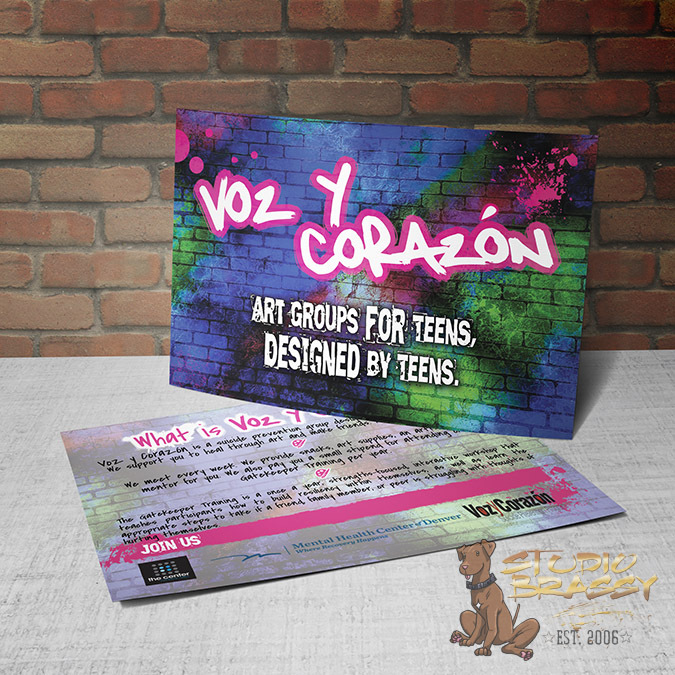 This postcard request was for the Mental Health Center of Denver‘s youth suicide prevention program, Voz y Corazón. The program was designed with youth input to make it something they could not just participate in, but take ownership of. These postcards were used for recruiting youth for new and returning groups each school year. From initial design concept to complete stationary, Studio Brassy has been making you look good since 2006. Let’s chat about your goals and make a plan to get you there.